The project Herbartis has come to an end: the final seminar will be held in Barcelona, Spain, next June 27th. All the participants, ADCMoura from Portugal, CTFC from Spain, Terre dei Savoia and CREA from Italy and UESS from France, will meet for the last time at the facilities of the Government of Catalonia (Departament de Territori i Sostenibilitat) thanks to the Departament d’Agricultura, Ramaderia, Pesca i Alimentació, in order to close the two intense years of the project. June 26th, the first day of works, will be the occasion for the transnational meeting to be held at the Departament d’Agricultura, Ramaderia, Pesca i Alimentació; while the day after the partners will meet at the Departament de Territori i Sostenibilitat in order to attend the final seminar and officially close the project. 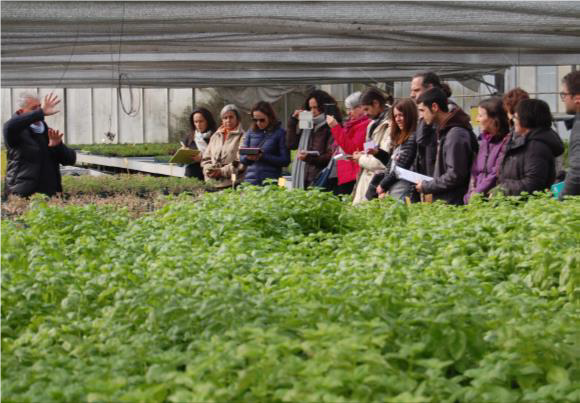 The project ERAMUS+ HERBARTIS has developed a guidelines of methodologies for reaching a quality professional training addressed to adult people, by implementing a transnational pilot course (Spain, France, Italy and Portugal) of handicraft production of food herbal products. During the seminar all the obtained results will be presented. Moreover, the day will present a rich programme of seminars and events to close the two years of works.